After hearing the great news that Vice President Mike Pence broke the tie-breaking vote on allowing states the rights to withhold taxpayer funds from Planned Parenthood, the one question that I have is this: why did we need a tie-breaking vote in the first place? We have a Republican majority in the Senate – why in the world would we need the Vice President to step in? 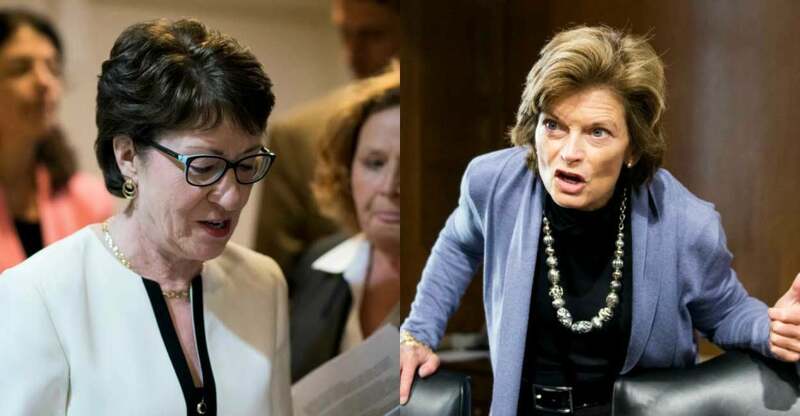 The answer is beyond disturbing: two Republican senators, Susan Collins (R-ME) and Lisa Murkowski (R-AK), decided that life of a child is not worth a vote. The Republican-controlled Senate voted on Thursday to roll back an Obama administration regulation and allow states to withhold funds from Planned Parenthood. It went into effect two days before Obama left office. These women are a disgrace to all Republicans, womanhood, and America in general. To betray their country and their party in this matter is unacceptable. Hopefully their constituencies are watching this and will drain these swamp slugs out of Washington as soon as their next election comes up! The more RINOs we can detect and remove from their offices, the sooner we can return to a moral country that focuses on respecting the Declaration of Independence, as well as the US Constitution. Do You Support President Trump’s Budget Plan To Protect Social Security?